A fiercely competitive market comes with its own benefits – of having a choice and getting only the best, but also has its own share of negatives – of being taken for a ride way too often only for a few bucks! To battle this, the Indian law lays down certain regulations and guidelines for protecting the consumer and guaranteeing justice. Every consumer has the right to be informed about the quality, quantity, potency, purity, standard and prices of goods and services. This right is meant to protect consumers against unfair trade practices. This means that, for example, in relation to medicines, the pharmaceuticals are required to disclose potential side effects of their drugs and manufacturers should publish reports from independent product testing laboratories in order to facilitate a comparative analysis with the competitive product. Every consumer has the right to choose between a variety of goods and services. Every consumer has to be assured of an assortment of products at competitive prices. Due to the existence of this right, the formation of cartels to set up monopolies is not legal. This means that sellers of similar products or services cannot come together to form a single organization to nullify the bargaining power of the consumers. However, the reality is that such cartels do exist, and many of the closely controlled industries such as natural resources, liquor, telecommunications, etc. are controlled by a few people in power and it is believed that India has to stride for about 20 more years for empowering its citizens fully in this regard. Every consumer has the right to be protected against marketing of goods and services which are hazardous to life and property. The main application of this right is in the healthcare, pharmaceuticals and food processing sector as these have direct impact on health. It aims to protect consumers against immoral practices by doctors, hospitals, pharmacies and the automobile industry. However, the lack of world-class product testing infrastructure in the country does hamper this right to a great extent. Every consumer has a right to be heard and to be assured that his interests will receive due consideration at appropriate forums.This right helps to empower the consumers for putting forward their complaints and concerns fearlessly and raising their voice against products or even companies and ensure that their issues are taken into consideration as well as handled expeditiously. 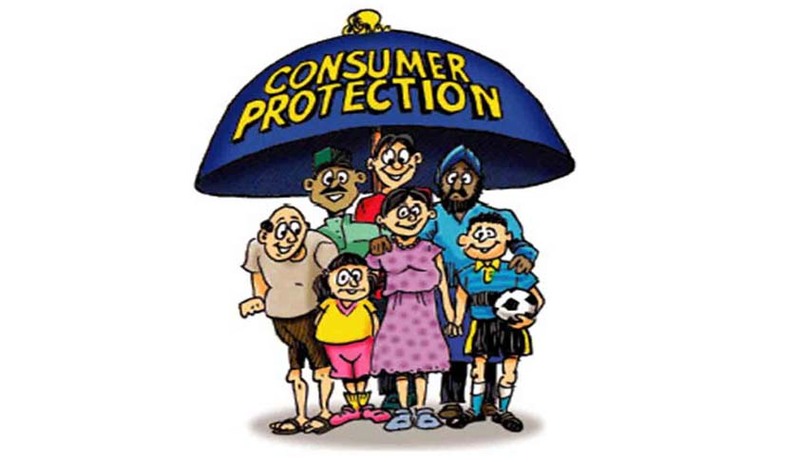 Each consumer has a right to seek redressal against unfair or restrictive trade practices or unscrupulous exploitation. There are consumer courts at district, state and national level for redressal of disputes. This right empowers the consumer to approach these forums and find resolutions to exploitations. What to do if you are a victim of violation? Laws and regulations are effective only when consumers truly understand them and more importantly, ensure their effective implementation. If a consumer feels that he is a victim of violation of any consumer right then he can file a complaint in consumer court of India. ‘Consumer Court’ is the special purpose court that deals with cases regarding consumer disputes and grievances. These are judiciary set ups by the government to protect the rights of consumers. The main function of such courts is to maintain the fair practices by the sellers towards consumers. District Consumer Disputes Redressal Forum (DCDRF), established by the State Government in each district of the State, it deals with cases valuing up to Rs. 20 lakhs. StateConsumer Disputes Redressal Commission (SCDRC), established by the State Government in the State. It is a state level court that takes up cases valuing less than Rs. 1 crore. National Consumer Disputes Redressal Commission (NCDRC), a national level court works for the whole country and deals with amount more than Rs. 1 crore. A consumer does not need a lawyer to file a complaint or to fight his case in this forum. He can file the complaint himself. A consumer is not required to pay any court fee but just a nominal fee depending on the type of court and the claim amount. Firstly, identify the jurisdiction of the forum where the complaint is to be filed. The consumer has to take into consideration both the territorial and pecuniary (as stated above) jurisdiction of the tribunal in mind before filing his complaint before choosing the correct forum. Draft your complaint stating facts necessary to establish a cause of action. The Consumer Protection Act, 1986, contains the format of the complaint. (Click here to download the format). You will be required to pay a prescribed fee along with your complaint before the respective forum. Attach copies of all the documents supporting your allegations. In this you can put on record the copy of the bill of the goods bought, warranty and guarantee documents and also a copy of the written complaint and notice made to the trader requesting him to rectify the product. You can also ask for compensation costs which should be specifically alleged in the complaint. Besides compensation, a consumer can also ask for the refunds, damages, litigation costs, and interest amount. You are also required to file an affidavit along with the complaint that facts stated in the complaint are true and correct. The complainant can present the complaint in person or by his/her authorized representative without engaging any advocate. The complaint can be sent by registered post. A minimum of 5 copies of the complaint is to be filed in the forum. Besides this you have to file additional copies for each opposite party. The true success of laws, and the entire judicial system, lies in the power of every citizen – to fulfill his responsibility and use his powers. The choice is yours. Namita Shah is a Partner in Edgecraft Technologies LLP.